It's simple to use for an amateur eyebrow drawer like me as it comes with a twist and draw auto pencil. This is a great fuss-free applicator which eliminates the need for a sharpener. I think it gives a more natural feel and I find that it lasts on me for more than 8 hours. I'm sorry that I do not have a better photo to show and don't mind my brows as they are pretty thick. 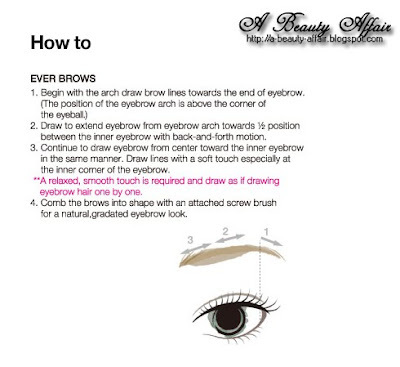 Thumbs up for the ZA Ever Brow!